Immersed in multiple gongs vibration, experiencing deep mind-body relaxation, releasing energetic blockage and tension. 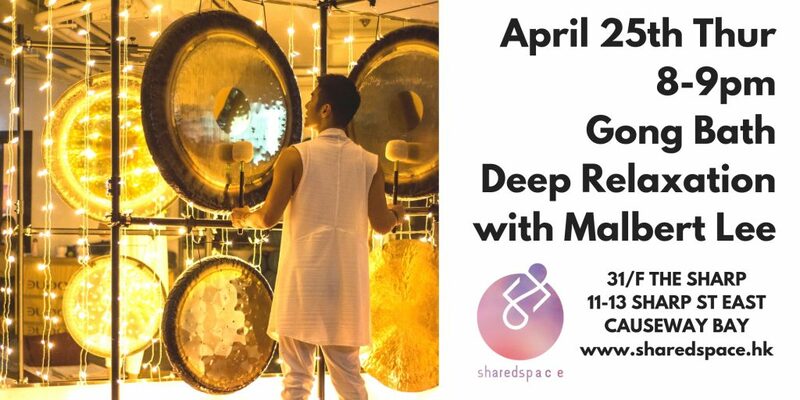 In this multi-sensory gong bath experience, simply rest on the yoga mat while immersed in multiple gongs sound waves. The harmonic sound from gong will take you to a deeply peaceful state, ease your mind and also improves circulation with the sound travel through your body giving you an internal massage. Simply wear anything comfortable. Suitable for all age, no experience required.